At the Mental Health Center of Denver, we believe that recovery and well-being are possible for everyone. Each person comes to us with a unique set of treatment needs, goals, and challenges, and our Adult Recovery Services are committed to providing our consumers with the right treatment at the right time. Using our nationally-recognized Recovery Needs Levels Instrument, we match the persons we serve with the treatment that best meets their needs. Some people may only need quarterly visits with their psychiatrist to review and renew their medications. Others, are seen as outpatients and regularly attend group and/or individual therapy sessions in addition to psychiatric treatment. Some receive therapy services but still benefit from assistance with housing, employment or other services in the community. Our community treatment teams assist those who’ve just begun their road to recovery and wellness, and still need assistance with housing and access to community resources. Our highest level of service is for those who have recently been homeless, hospitalized, or may have criminal justice system involvement and or substance use issues. Building on the key elements of trauma informed service delivery: trustworthiness, safety, choice, collaboration and empowerment, we provide services that are welcoming and create an environment of healing. In treatment we use the Trauma Recovery and Empowerment Model (TREM), which is a group-based program designed to promote recovery from trauma. Where Do I Start to Find Help? If you are having an emergency and need immediate assistance, call 911. To schedule a first time appointment at Mental Health Center of Denver for yourself, your child or a loved one, please contact our Access Center by calling 303-504-7900. If you need someone to talk to and don't know where to start, call Colorado Crisis Services at 1-844-493-TALK (8255). To be seen immediately, visit a Colorado Crisis Services Walk-In Center. 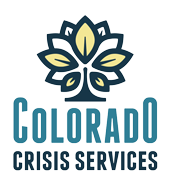 Colorado Crisis Services operates 5 walk-in crisis centers across Denver. These centers are open 24/7, and offer confidential, in-person crisis support, information and referrals to anyone in need. Click here for more information. For a list of Mental Health Center of Denver locations, click here.
" The Mental Health Center of Denver has helped me a lot, in more ways than I can imagine." The Recovery Center is dedicated to mental and physical healing, enriching lives and minds by focusing on strengths and recovery. Our state-of-the-art facility expands access to services and streamlines the way services are delivered. Wellshire Behavioral Services provides mental health therapy and psychiatric medications for children and adults. People who receive these services are able to find hope, confidence and the ability to manage their lives, relationships, stressors and careers more effectively. For your convenience, we offer pharmacy locations at Wellshire Behavioral Services and The Recovery Center. Medication can be picked up right after a session or anytime during our business hours. Knowing that good mental health can have a positive impact and improve the quality of life for people living with HIV, we offer a full range of mental health services through the Living and Learning with HIV Program. Our work and education training programs are designed to provide the persons we serve with the education and employment opportunities they need to lead successful, empowered lives.